Health insurers and regulators are extremely nervous about congressional Republican leaders' announced plans to repeal most of the Affordable Care Act soon after Donald Trump takes over the presidency next month and wait several years to establish a new system. But some insiders say they are encouraged that GOP leaders are slowly recognizing they need to take steps to shore up the fragile individual insurance market that covers nearly 20 million Americans and avoid measures that drive health plans out of the market in 2018. Meanwhile, some state insurance officials are examining what tools they have to keep the insurance market functioning in the event of an ACA repeal early next year. Insurers and their lobbyists are talking to Republican lawmakers and their staffers and explaining to them how to avoid a market meltdown and what they need to be able to stay in the market in 2018. But it remains to be seen whether Trump and his fellow Republicans, who long have railed against the ACA as a disaster, are willing to at least temporarily preserve and even strengthen provisions of the law insurers consider essential to the market's functioning. Those include the requirement that nearly everyone buy insurance and the risk payments to insurers that sign up sicker-than-average members. Insurers have to calculate and submit their 2018 premiums by spring. But it's not currently clear whether insurers are going to get those details by that time. GOP leaders are coming together around a strategy of quickly repealing most of the law through the expedited budget reconciliation process, requiring only 51 votes in the Senate, and delaying the effective date for as long as three years while they draft a replacement package. 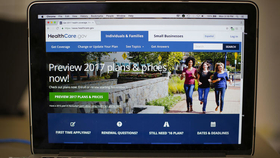 One Republican source suggested the Trump administration could delay insurers' rate-filing deadline by several months. The biggest question for insurers, however, is whether Republicans will stick with their previous repeal bill and immediately eliminate the tax penalties on individuals for not buying coverage, or whether they will delay that provision. Carriers also are closely watching whether the Republicans postpone the elimination of the ACA's premium tax credits and Medicaid expansion, as they did before. Insurers consider the mandate along with the subsidies and Medicaid expansion key to making the individual insurance business financially viable. But it would be very tough politically for Trump and congressional GOP leaders to even temporarily keep the individual mandate because that's the least popular part of the law for them and their voters. While large majorities of Americans, including Republicans, support key ACA provisions such as the premium subsidies, Medicaid expansion, and barring insurers from denying coverage based on a person's medical history, most people do not favor the mandate, according to a recent Kaiser Family Foundation poll. “It would be advisable to have a transition period with the mandate to ensure there isn't adverse selection (for insurers),” said Chris Condeluci, a Washington health policy consultant who served as a GOP staffer on the Senate Finance Committee during the ACA's drafting. “But politically that might be difficult. I'm not sure what's going to happen on that.” Part of the issue, he added, is that House conservatives don't believe the mandate is effective anyway in getting healthier, lower-cost consumers into the market. Insiders say congressional Republicans are considering regulatory changes to persuade insurers to continue offering plans in 2018 and 2019 and avoid a market collapse that could cause the nearly 20 million people to lose coverage. People who buy individual insurance both inside and outside the ACA exchanges would be affected. Ironically, some of those moves could resemble changes Hillary Clinton would have made if she had been elected president. The concessions being discussed include restoring most of the reinsurance payments carriers were anticipating; changing the risk adjustment formula to better compensate insurers for the health status of their enrollees; tightening requirements for people who want to sign up for coverage outside of the open enrollment period due to changes in life circumstances; and preserving the federal payments to insurers to cover them for the law's requirement that they reduce cost-sharing responsibilities for lower-income exchange plan members. House Republicans recently asked for and received a delay from a federal appeals court in legal effort to block those cost-sharing reduction payments, suggesting they want to give the Trump administration flexibility to continue these payments. But Republicans are highly unlikely to support restoration of risk corridor payments to insurers, which they denounced as corporate “bailouts” and for which they cut off funding. Ignagni, who has been talking to congressional Republicans since the election, agreed that it's crucial for insurers to know whether the individual mandate, the cost-sharing reduction payments, and the ACA's tax provisions, such as the insurance premium tax, will continue. She doubts the market can function with rules requiring insurers to take all comers if the individual mandate is abolished. “You need to know the answers to those questions before you can make judgments about what you are likely to do,” she said. Kreidler cited a precedent for what could happen. In the late 1990s, all insurers withdrew from his state's individual market due to a state law that required them to accept all applicants without regard to pre-existing medical conditions but did not require everyone to have insurance and did not offer premium subsidies. The situation would be similar if the ACA's individual mandate were abolished while the ban on insurers using pre-existing conditions were preserved. Congressional Republicans likely would not be able to repeal that pre-existing condition provision under the expedited budget reconciliation process.